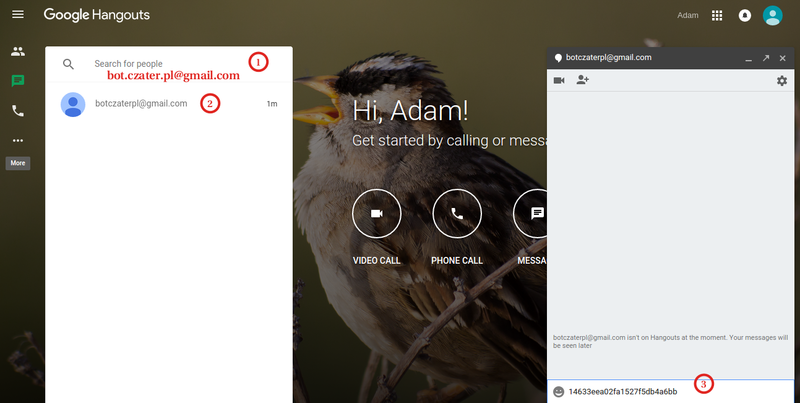 What is the purpose of Google Hangouts integration? 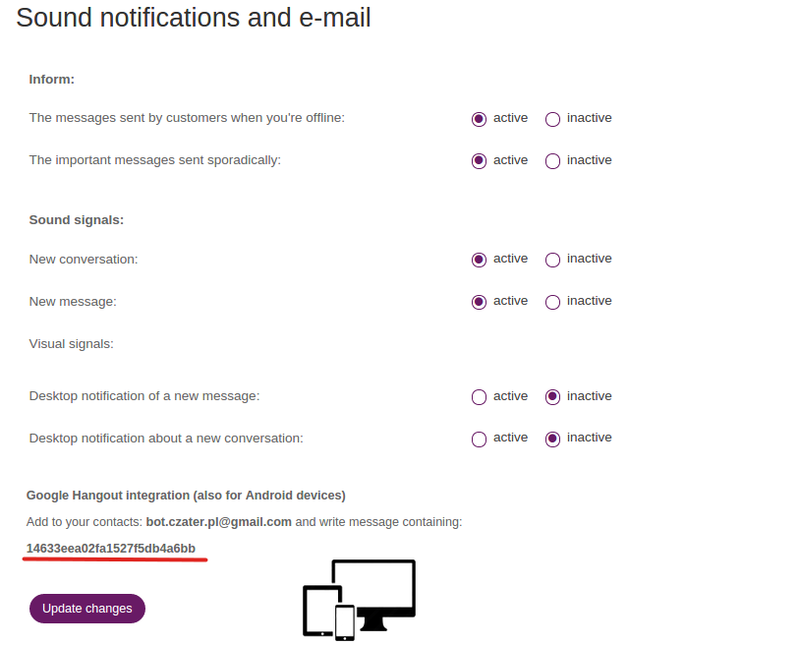 If you would like to receive notices about new chats from your customers, you can use Google Hangouts. After the integration has been completed, our bot will send you a link notification of any new chat initiated by the customer. Since that time, even after you log out of Czatera we will be visible "Online" through Hangouts, and through it we are notified about the new talks.